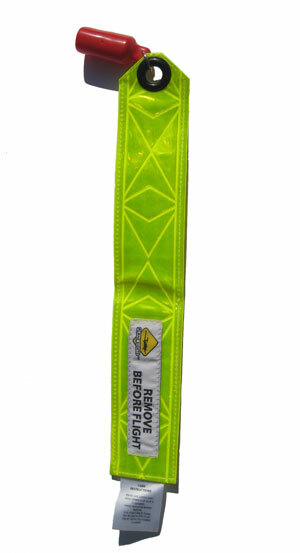 The blazing yellow color of this foot-long, ANSI-compliant and weather-resistant reflective streamer stands out equally well in daylight or darkness under all weather conditions, so it can’t be missed. The poly plug is attached to the streamer’s rugged black oxide coated zinc eyelet with a stainless steel ring. This ¾”plug Fits Cessna 150, 152, 172, 177, 182, 200 series, and 337 models. Rust-resistant, fade-resistant, wear-resistant and, like all Plane Sights products, guaranteed for two years, or your money back!